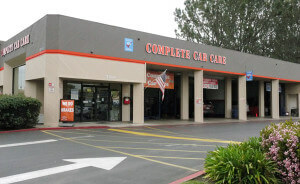 Our experienced automotive repair technicians have several Automotive Service Excellence certifications and are qualified to perform scheduled maintenance and auto repairs on all domestic, imports, Japanese, and Korean cars and trucks. We are proud to give our customers the highest quality service in the industry at very competitive prices. Whether it's diagnostics, engine repair, air conditioning and heater servicing, brake repairs, a smog check, or an oil change, the ASE certified automotive experts of our staff will make sure you are safely back on the road as soon and as safely as possible. We understand the impact that untimely car trouble can have on numerous aspects of your everyday life, so we make it our goal to work with you and do everything we can to help. You can schedule your appointment in advance and we offer a convenient shuttle service within your area (limitations may apply).